Musanda's opinion: Arise Namibia:There Must Be An End To Brutal Killings And Violence Against Women. Arise Namibia:There Must Be An End To Brutal Killings And Violence Against Women. Written by Comrade Filemon'Fire'Shikomba And Yours Truly Sishumba Musanda in commemoration of the March 6 National Prayers against gender killings and violence. I choose to call it "Brutal Killings" because “Passion Killings "does not describe the seriousness in this wicked situation. 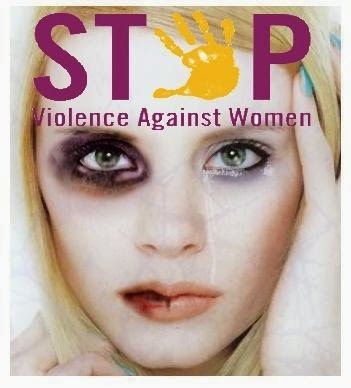 When I think about the gender inequality or gender-based violence, truly, I want to cry out loud, and lighten the heaviness in my heart .Gender-based violence is a violation of human rights and serious attention must be established to prevent it from going further. The Brutal Killings are getting out of hand. Namibia will soon be described as the world’s most unsafe place for women to live in. It is very painful to see women, who are supposed to be our Sisters, our Friends and most importantly our Mothers die in the hands of heartless men. What is even more painful is to see children become motherless due to this ungodly behavior, to see fathers who kill women being sent to prison and leaving their children behind with no one to look after them, and the absence of parental figures will bring problems to the future of those children because many may tend to think their future is based on violence. I have this feeling that Namibians are not doing enough to bring a concrete conclusion to this escalating problem, and I think we need to amplify voices for change. From within the communities by engaging women, girls, community leaders, men, and boys—in the effort to support positive social change. I believe that politicians alone cannot bring an end to this problem; we need direct confrontation that will include all political parties, despite political difference a firm stand is needed because this is a national crisis on the rise. And every tool must be used to combat Brutal Killings before our country runs out of women. In conclusion, I am urging all youths to learn from all this experiences, to choose good examples, and to avoid becoming victims of such circumstances in future. We can have a future free from Brutal killings if we unite, learn and create awareness.